On arrival at the airport meet our representative, "Welcome" than transfer to the hotel, overnigh stay at the hotel. Morning after breakfast drive to National Chambal Sanctuary, Boat cruise on river Chambal to see the Indian Skimmer, black-bellied tern, bar-headed goose and other waterfowl. The area is also known for Gangetic dolphin, 5 species of turtles, marsh and fish-eating crocodiles etc. Overnight stay in Chambal Safari. overnight stay at the rest house. Morning after breakfast, visit Taj Mahal, than drive to Bharatpur en route for a visit to Fatehpur Sikri. Arrive in Bharatpur. 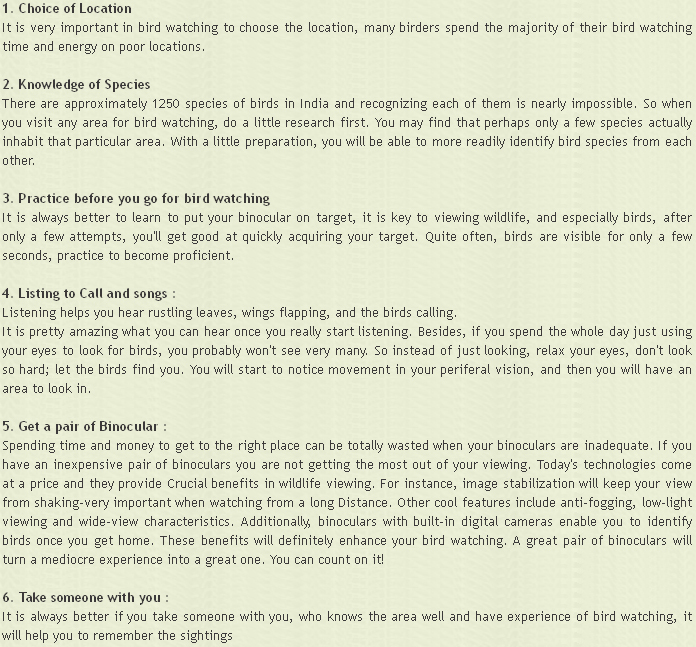 Rest of the day birding with a guide in the wetlands of Keoladeo National Park. Overnight stay at the hotel. Morning after breakfast, boating in the wetlands to see the heronries and rest of the day birding with a guide. Overnight stay at the hotel. Morning after breakfast birding till noon. than drive to Delhi. on arrival Delhi transfer to the airport time to catch the flight for onward destination. Agra Taj Mahal, Fatehpur Sikri. Bharatpur Boating in wetland, see the heronries, birding with guide.